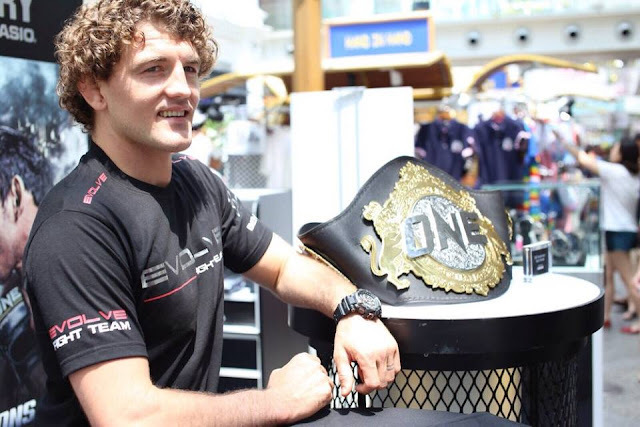 Ben Askren returns in Manila, Philippines for the latest ONE Championship bout, ONE: GLOBAL RIVALS. In his return, the One Welterweight Champion will face Russia's Nikolay Aleksakhin. It's gonna be USA vs. RUSSIA! ONE Championship™ (ONE), announces its return to the vibrant city of Manila in the heart of the Philippines. ONE Championship will again rock the Mall of Asia Arena on 15 April at ONE: GLOBAL RIVALS. In the main event, ONE Welterweight World Champion Ben “Funky” Askren of the United States makes his much awaited return to the ONE Cage to face Russia’s Nikolay Aleksakhin. Tickets for ONE: GLOBAL RIVALS are available www.smtickets.com. Ben Askren, Former NCAA Division I All-American, is a collegiate wrestling legend and one of the finest mixed martial artists in the world today. In just a few fights in ONE, Askren was able to seize the ONE Welterweight World Championship with a resounding technical knockout victory over Nobutatsu Suzuki. The highly-skilled Askren is widely considered to be the absolute best in his division and one of the best fighters in the world pound for pound. His next challenge is a tough one, as he goes head-to-head with Russia’s Nikolay Aleksakhin. Veteran welterweight from Russia, Nikolay Aleksakhin will make his highly-anticipated return to the ONE Championship cage in Manila this April. Aleksakhin was impressive in his debut for the promotion when he submitted Burenzorig Batmunkh with a rear naked choke within three rounds. Now, Aleksakhin gets the call to face ONE Welterweight World Champion Ben Askren and will look to surprise the crowd with intense action.